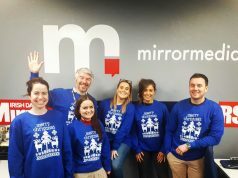 The new Dunnes Christmas TV ad is a heartwarming tale of how a bunch of plucky children come together to make sure that Santa can’t miss their town. The campaign, which was created by Chemistry, and embraces story telling with a big brand feel which is generating a hugely positive reaction. 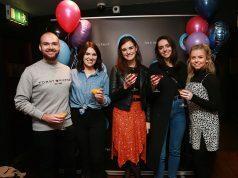 The new Dunnes campaign kicked off with a longer length 90″ extended version on social on Monday . TV launched on Tuesday with 60″ spots and the campaign is also running on national billboard, social and digital. Shot over four days on location in Blessington, Kidlare and Inistioge in Kilkenny, this was a big production using a local crew of up to 70 and involved a cast of 450 children across Ireland. The snow effects were man made and the music was especially composed by Stephen McKeon using a 62-piece orchestra recorded in Windmill lane. Chemistry was awarded the Dunnes business earlier in the year and launched Everyday Savers in September. 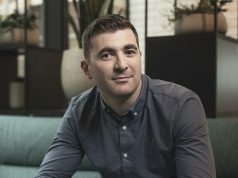 “It’s very exciting to be working with such an iconic Irish brand that has never rested on its laurels,” says Dee Gunning, head of client service, Chemistry. “Few brands have their drive, ambition, dynamism and determination to be the best,” adds Sinead Cosgrove head of planning with the agency. “We’re looking forward to delivering creative work that matches that ambition” Emmet Wright, Creative Director, Chemistry.